In this post I investigate the differences between the Backup-SPFarm and Backup-SPConfigurationDatabase cmdlets in the process of configuration-only backup in SharePoint 2010. I also extrapolate a bit on how the Backup-SPConfigurationDatabase may have come to be. I recently authored a blog post titled “Configuration-Only Backup and Restore in SharePoint 2010,” and in that post I tried to address some of the false hopes and misunderstandings I saw arising around SharePoint 2010’s configuration-only backup and restore capabilities. While I was putting the post together, I was reminded of another head-scratcher that I’ve seen confuse some folks on a handful of occasions; specifically, what the differences are between the Backup-SPFarm and Backup-SPConfigurationDatabase PowerShell cmdlets in SharePoint 2010 when it comes to configuration-only backup. Before I go too far, I should probably rewind a bit and explain a few things. If you aren’t yet familiar with configuration-only backup and restore in SharePoint 2010, the basics of it are covered in this TechNet article and in my previous post. I’d recommend checking both out before continuing. Using the “Backup up only configuration settings” option when running a backup using Central Administration’s Farm Backup and Restore capabilities. Through STSADM.exe using STSADM.exe –o backup with the –ConfigurationOnly switch. By running the Backup-SPFarm PowerShell cmdlet along with the –ConfigurationOnly switch. By executing the Backup-SPConfigurationDatabase PowerShell cmdlet. Option #1 is obviously designed for the “UI-oriented” administrator who wants to accomplish a configuration-only backup with a point-and-click interface. Option #2 works, but Microsoft has been pretty clear that STSADM.exe is on its way out and should be generally be avoided in favor of the PowerShell cmdlets shown in Options #3 and #4. Options #3 and #4 are where I’ve actually seen some administrative head-scratching start. Both options leverage PowerShell, and both produce a configuration-only backup. The Backup-SPConfigurationDatabase cmdlet would seem most appropriate for the job … but is it? If it is most appropriate, then why the redundant capability with the Backup-SPFarm cmdlet? We have two PowerShell cmdlets that produce the same type of backup set. Understanding how the cmdlets differ starts with an analysis of the syntax and parameters for each one. Let’s start by looking at the syntax for each of the cmdlets in full. Each of the cmdlets requires that you specify where the backup set should be created using the –Directory switch, and each cmdlet permits the selection of either the entire configuration hierarchy (the default) or specific subset of it through the –Item switch. There’s quite a bit of noise in the full syntax for each cmdlet, particularly for Backup-SPFarm, so let’s distill things down a bit and look at each cmdlet in turn. All you need to do is specify the –ConfigurationOnly switch and you’re ready to go. There’s really not much more to it than that. Under the hood, this method of configuration-only backup creation is the same as running a configuration-only backup operation from within SharePoint Central Administration. Backup-SPFarm assumes that you’ve got a live SharePoint farm, that it’s operating properly, and that you want to capture its configuration with the backup process. So then, what’s the deal with Backup-SPConfigurationDatabase? Clearly there’s something more going on with this cmdlet. Looking at the parameters, it should be clear that the –DatabaseName and –DatabaseServer switches allow you to specify an alternate configuration database and server location as the target of the configuration-only backup operation you intend to perform. If you happen to require SQL Server authentication to access the configuration database, then you can specify connection credentials with the –DatabaseCredentials switch. In most cases where I’ve seen the Backup-SPConfigurationDatabase cmdlet described, these extra database-centric parameters have been passed-off as giving you the ability to backup configuration databases that reside in other (non-local) farms. I’ve also seen it suggested that it would be possible to centralize configuration-only backups for multiple farms using this cmdlet. While I think that those are certainly possibilities, I think that they fail to consider the bigger picture and backup/restore as an end-to-end process. First, let me close the case on the Backup-SPFarm cmdlet. Under normal circumstances, Backup-SPFarm is how you should be running a configuration-only backup if you need it. The TechNet documentation spells this out in the description for both the Backup-SPFarm and Backup-SPConfigurationDatabase cmdlets. Although Backup-SPConfigurationDatabase can be used to backup the configuration database of an operational farm, that’s not really its intended use (as I see it, anyway). To understand the real value of the Backup-SPConfigurationDatabase cmdlet, you need to think past the execution of backups and consider the process of recovery. 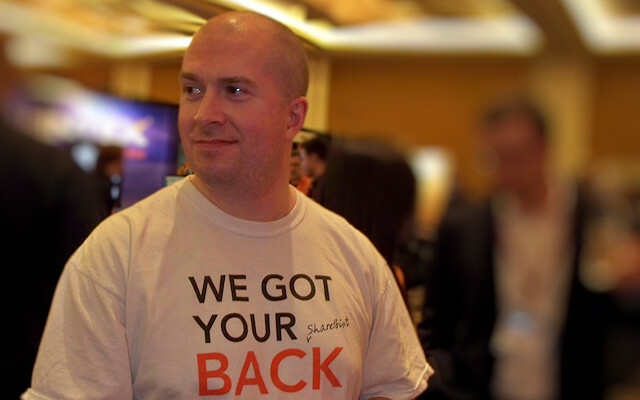 In many of the organizations I’ve consulted for, the SharePoint environments were not protected using the native backup and restore capabilities that come with the platform. Quite a few of these mid-size and enterprise organizations handled SharePoint farm protection using SQL Server backups, third-party tools, or a combination of the two. Usability guidelines for the native backup capabilities were sometimes the reason for avoiding SharePoint’s built-in tools; in other cases, backups were controlled and managed by a different internal group that had already standardized on their own (non-SharePoint) backup tool or product. In each of the aforementioned backup scenarios, the primary goal was protection of SharePoint’s SQL Server databases. Content databases were utterly critical targets in these backup scenarios since nothing would bring them back if they were lost. Whether or not other databases were backed up depended on the recovery strategy. In the event of catastrophic farm failure, some administrators try to recover all parts of the farm; others prefer to rebuild the farm from scratch and bolt the content databases back in. Many different approaches to the recovery challenge exist, and each has benefits and disadvantages. Regardless of the restore approach taken for database backups, the SharePoint farm configuration database has generally been regarded as relatively useless. After all, farm configuration databases are not normally portable. When you rebuild a SharePoint farm, you end up with a new farm configuration database. In SharePoint 2007, it was generally accepted that the farm configuration database was “throwaway;” backing it up wasn’t even necessary unless you had some very specific (and oftentimes proprietary) use case for it. With SharePoint 2010, the question of “should I backup the farm configuration database?” should generally be answered with a “yes.” The same restrictions regarding the use of a farm configuration database backup still apply from SharePoint 2007 (i.e., you can’t simply “drop it into” a live SharePoint farm and go), but we now have configuration-only backup and restore with SharePoint 2010. If you think about the database or file-based approach to backup, and you consider the process of restoring or rebuilding a SharePoint farm, then you’ll probably understand where the Backup-SPConfigurationDatabase cmdlet actually fits in. The cmdlet is less about backup than it is about restore. Once you’ve completed step #3, you actually have a working SharePoint farm – it just doesn’t look anything like the farm you’re trying to rebuild/restore yet. You’ll probably still need to re-provision services and service applications, re-establish all of your farm’s configuration settings, etc. Assuming you were capturing your farm configuration database as part of the backup cycle for your old farm, then step #4 is where the Backup-SPConfigurationDatabase can be brought in to work its magic. The Backup-SPConfigurationDatabase does actually require a functional farm to properly operate (even against another configuration database), but it can be used to execute a configuration-only backup against the old (pre-catastrophe) farm configuration database that was restored into SQL Server from backup in step #4. The configuration-only backup set that is generated through the Backup-SPConfigurationDatabase action can then be brought into the rebuilt farm almost immediately using the Restore-SPFarm cmdlet with the –ConfigurationOnly switch engaged. I’ll be clear and state that I don’t have hard evidence to say with certainty that my take on the Backup-SPFarm and Backup-SPConfigurationDatabase division of responsibilities is what Microsoft envisioned when they created them, but I am relatively confident based on what I’ve seen and know – especially when I factor-in Microsoft’s data protection product offerings and enterprise backup/restore strategy. In particular, I’m talking about Microsoft’s own System Center Data Protection Manager (DPM) product line. The DPM product line conducts its backup and restore operations through the Volume Shadow Copy Service (VSS) that is built into the Windows operating system. VSS is a very powerful mechanism for the creation of consistent, point-in-time file snapshots … but at its core, VSS is file-based. 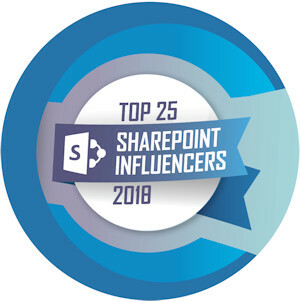 Even though DPM advertises some integration capabilities with SharePoint, it isn’t “aware” of SharePoint beyond its interface with the SharePoint Foundation Volume Shadow Copy Service Writer (SPF VSS Writer) and the SPF VSS Writer’s subordinate search index writer. For all practical purposes, this means that DPM can’t really treat SharePoint backups as much more than file-based backups. DPM’s approach to SharePoint farm protection is to backup SQL Server databases (including the configuration database) and the farm’s search index partitions. It doesn’t understand farm metadata, IIS configuration settings, the SharePoint Root (aka “14 hive”), etc. These additional targets can be backed-up using DPM’s file system protection capabilities, but they aren’t associated in any way with other SharePoint backups. So even though DPM can protect a SharePoint farm configuration database, it can’t do anything more with it than you or I can do with a standard SQL Server database restore. If you realize that DPM only works with files and doesn’t have much in the way of application-level intelligence, this chart that compares its capabilities against other SharePoint protection mechanisms makes quite a bit of sense. It should also make it clear why even Microsoft’s products have a need for the Backup-SPConfigurationDatabase cmdlet. Don’t interpret what I’m saying as DPM 2010-bashing. On the contrary, I’ve been using DPM since it’s 2007 release in my home network environment, and I think it’s a pretty good product. I only brought up DPM to make my point about the Backup-SPConfigurationDatabase cmdlet – not to beat-up the product. Since both SQL Server backups and DPM are capable of restoring a SharePoint configuration database – but not much more than that – the Backup-SPConfigurationDatabase cmdlet fills a very important role in the SharePoint restore process. It’s the “bridge” from many backup/restore solutions to SharePoint itself for purposes of getting back configuration data. The general rule of thumb that I give people is this: use Backup-SPFarm if you’re trying to extract configuration data from a live farm, and use Backup-SPConfigurationDatabase if you’re trying to extract configuration data from a restored (and otherwise unassociated) configuration database. Pingback: Okay, Really – What Can I Do with a SharePoint Farm Configuration Database Backup?